Jackie McCartan is a history teacher at Alpha Omega Academy. Her role includes hosting online classes, grading projects, answering student questions, providing students with feedback, and helping them expand their knowledge of historical topics. With a bachelor’s degree in history and a teaching certificate, McCartan has worked with a wide variety of student age groups, serving as a middle school Sunday school teacher, a teacher’s aide in a fourth grade classroom, a youth soccer coach, a tutor and mentor, and a student teacher for high school students. 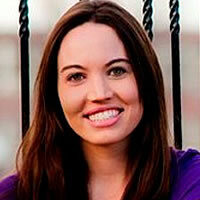 A Midwest girl, McCartan enjoys teaching and playing several sports, reading, crafting, and listening to oldies music. Her favorite food is chocolate, and her favorite movie is Remember the Titans. "Marie, my daughter has been attending AOA at home for three years and all I can say is, 'GREAT!' The lessons are very easy to follow and the teachers are always there for her when she needs help. "—Lisa W.